Manafort said pushed the new Republican platform won’t call for giving weapons to Ukraine. Donald Trump campaign Chair Paul Manafort denied Sunday a two-week-old report that the campaign pushed for changes in the Republican platform that softened the party's stance on helping Ukraine defend itself against Russian aggression. 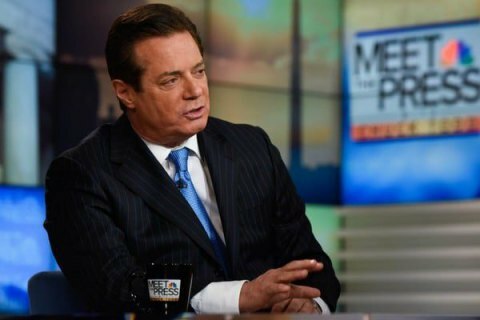 Asked on NBC's "Meet the Press" by host Chuck Todd about his involvement in changing the platform regarding Ukraine, Manafort said: "I had none. In fact, I didn’t even hear about it until after our convention was over." "Where did it come from then?" Todd pressed. "Because everyone on the platform committee had said it came from the Trump campaign. If not you, who?" "It absolutely did not come from the campaign. I don’t know who everybody is, but I guarantee you it was nobody that was on the platform committee," Manafort replied. When asked once more if anyone on the campaign was involved, Manafort said, "No one, zero." Manafort's comments contradict reporting by the Washington Post's Josh Rogin. He reported July 18 that the Trump campaign "worked behind the scenes last week to make sure the new Republican platform won’t call for giving weapons to Ukraine to fight Russian and rebel forces." When a platform committee member offered an amendment to the platform that called for supporting Ukraine members of the Trump campaign who were not members of the committee jumped in to edit the amendment, Rogin reported. They stripped language from the amendment saying the U.S. should help Ukraine by "providing lethal defensive weapons" and instead wrote that America should offer "appropriate assistance." After Manafort denied any involvement from the campaign, Rogin stood by his reporting on Sunday morning. Trump himself also denied any involvement in changing the platform regarding Ukraine. "I was not involved in that," he said on ABC when asked about changes to the platform. "I’d have to take a look at it." Previously, Trump has reportedly said that attempts to return Crimea to Ukraine may trigger a third world war.